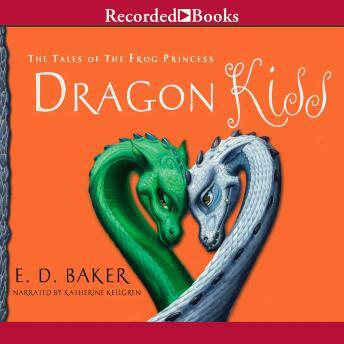 In Dragon Kiss by Book Sense 76 Children's Pick author E. D. Baker, Audun the teenage dragon falls for Princess Millie the moment he sees her. Now separated from her and forlorn, he's desperate to find her again. To convince the Dragon King to let him begin his quest for true love, Audun must first endure a series of daunting challenges. And yet even if he can vanquish witches and warlocks to please his lord, how can a dragon who longs to be human win the heart of a human who hates the thought of becoming a dragon?